A little publicized but highly curious part of the emergency drought legislation signed by Gov. Jerry Brown last month advances hundreds of millions of dollars to shore up and replace aging levees in flood prone areas of the state. Drought relief through better flood control? Really? As it turns out, some flood protection projects are important during droughts. Strategically removing sections of old levees or rebuilding them hundreds or thousands of feet from their original riverbank sites can significantly replenish aquifers during wet years, providing badly needed supplies during droughts. The drought relief package accelerates the appropriation of $660 million from a 2006 flood protection bond act (Proposition 1E) that specifically authorizes construction of such “setback levees” because of the groundwater recharge value and other benefits they provide. Setback levees are not new. The Dutch have them to improve flood control; allowing floodwaters to spill onto undeveloped or farmed floodplains lowers the flood risk for communities downstream. Their use in California, however, has been much more limited. Local flood control and reclamation districts have focused more on keeping century-old levees intact (Suddeth, 2010). Some agencies are beginning to rethink this approach as growing numbers of studies point to the multiple economic and environmental benefits of reconnecting rivers with their walled-off floodplains. It’s easy to forget the Central Valley was once a vast wetland (Whipple et al, 2012). Before we built dams and straightjacketed rivers with levees and riprap, floodwaters would swell onto floodplains (Mount, 1995). The water would percolate into the ground and refill local aquifers. Inundated floodplains also served as nurseries for fish, with abundant insect food and ideal water temperatures for growing bigger and faster – improving their odds of survival in the ocean (Jeffres et al, 2008). Today, with only 5 percent of the floodplains left undeveloped, California affords few opportunities for floodwaters to restock local aquifers (Hanak et al, 2011). The levees built in the late 1800s and early 1900s to hold back floodwaters from cities and farms now stand as barriers to residents and farmers needing to expand groundwater supplies for drinking water and irrigation. 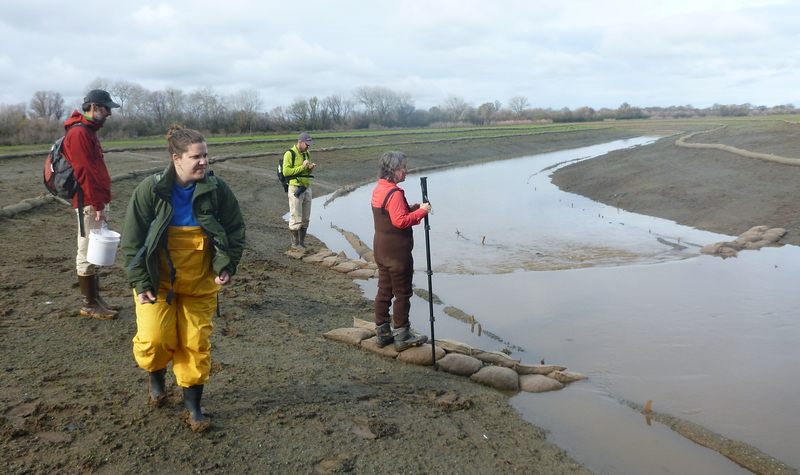 Three years ago our team of watershed scientists set up an experiment on the Cosumnes River Preserve near Lodi to better understand the relationship of river levees to groundwater recharge. The Nature Conservancy removed about 750 feet of old riverside levee and breached additional levees to increase access of floodwaters onto the floodplain. Scientists monitored the biophysical response. Preliminary results have been encouraging. Removing the levee on the Nature Conservancy’s 500-acre experimental floodplain appreciably replenished local aquifers and reduced flood risks for area landowners. Just a brief storm in early February added roughly 100 to 300 acre-feet of water to local groundwater stores. Now that this floodplain will become inundated more frequently, the recharge will continue to grow with each year, possibly resulting in about three times more recharge than would occur from irrigation. The annual amount of net groundwater recharge might amount to 1,000 acre-feet, or more – not bad for such a small area. Building setback levees is expensive. A 3,400-foot-long structure and associated riparian restoration planned along the lower Feather River in Sutter County is estimated at $20 million. But in reconnecting rivers to their floodplains, these projects can yield the multiple long-term benefits of reduced flood risk, increased groundwater recharge and improved wildlife habitat. Some communities in the Sacramento-San Joaquin Delta may find this room-for-rivers approach particularly beneficial. It may be more economical to reduce flood risk by expanding floodplains rather than shore up aging levees to meet the new 200-year flood protection requirement. The approach also may be attractive to some communities in the San Joaquin Valley where groundwater overdraft is most pronounced. The best time to prepare for floods is before they happen. Making every drop count during a deluge can pay dividends when droughts recur and wells start to dry up. Joshua Viers and Graham Fogg are scientists with the University of California’s Water Security and Sustainability Research Initiative. 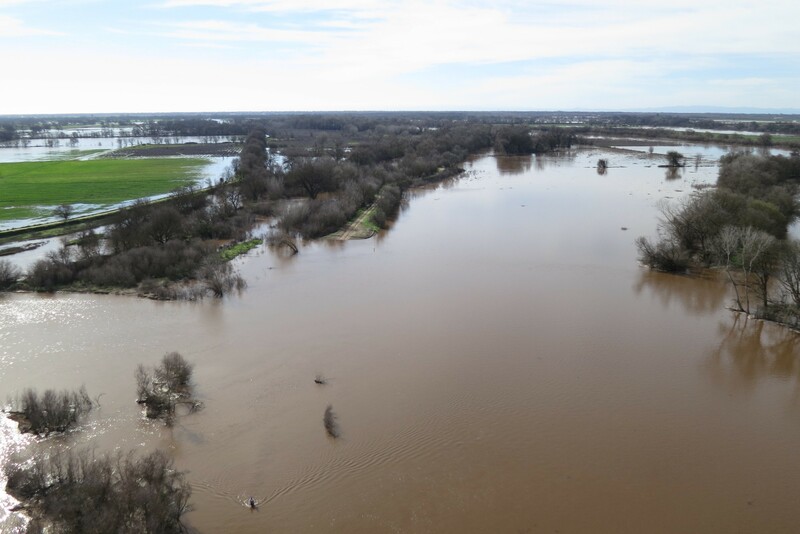 The groundwater recharge experiment on the Cosumnes River Preserve is conducted in cooperation with the California Department of Fish and Wildlife, Point Blue Conservation Science and the Nature Conservancy. Mount, J. 1995. California Rivers and Streams: The Conflict between Fluvial Process and Land Use. University of California Press. Berkeley, Calif.
Whipple AA, Grossinger RM, Rankin D, Stanford B, Askevold RA . 2012. Sacramento-San Joaquin Delta Historical Ecology Investigation: Exploring Pattern and Process. Publication #672, San Francisco Estuary Institute-Aquatic Science Center, Richmond, Calif. Please join us for this international workshop on advancing environmental modeling. We are bringing together experts from Europe, Asia and across the U.S. to explore ways to improve the development, application and integration of modeling for multipurpose management of ocean, estuarine and watershed systems. Community-based modeling, public domain platforms and integrated modeling from various systems will be discussed. A white paper developed from workshop proceedings will be prepared and released to improve modeling integration. This entry was posted in Drought and tagged drought, flood, floodplain, Graham Fogg, Joshua Viers, levee. Bookmark the permalink. This was an excellent article and it being written provides further evidence as to why the Army Corps of Engineers is so off base with their thinking that all surface water should be directed immediately to the oceans. There are many older gravel pits and quarries that could benefit by the acceptance of stormwater thereby facilitating additional groundwater recharge. These become even more important as agriculture switches to irrigation that only provides water at the root levels thereby eliminating or reducing natural groundwater recharge. These principles apply to southern part of California as well where dams should be erected in the seasonal drainages that receive periodic, truncated water episodes.